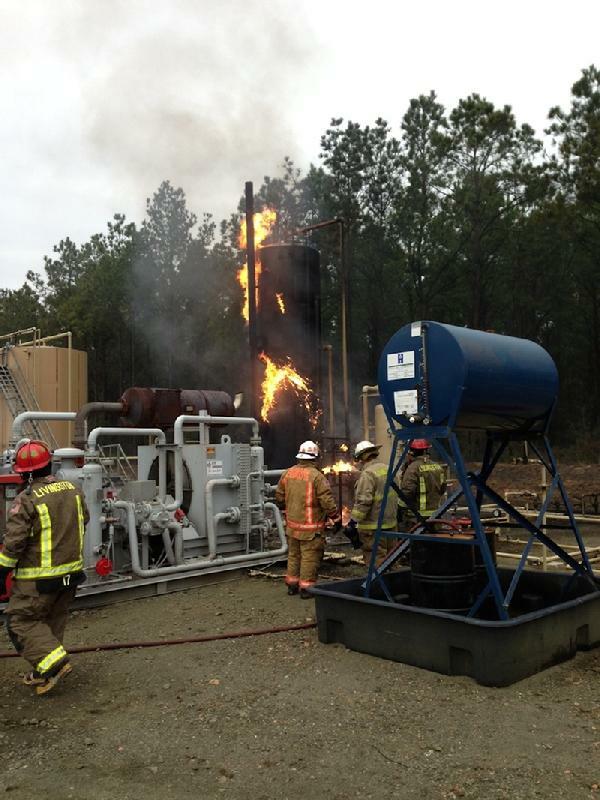 Oil Well Fire in East Polk County, MIDWAY, December 27, 2012 - Shortly before 12 noon on December 27, 2012, a fire was reported from East Polk County. 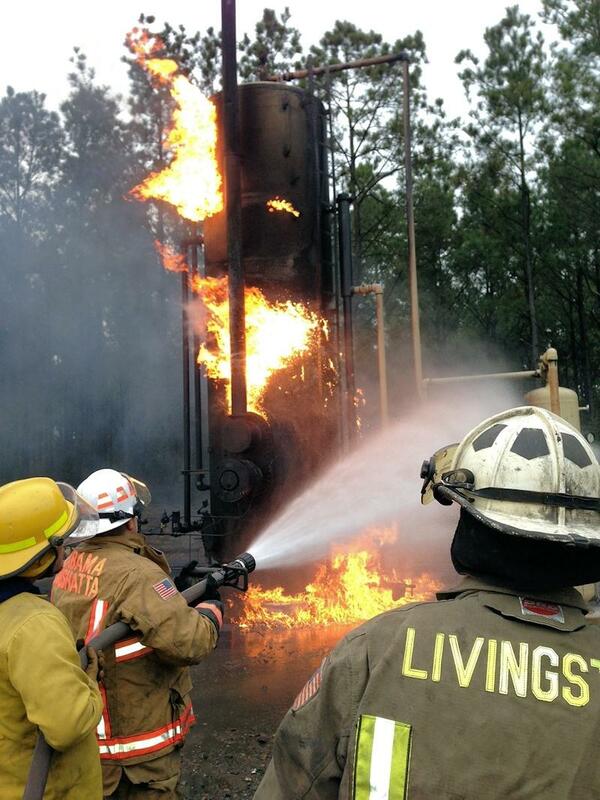 The fire was actually an oil well fire that was located off Old Cemetery Road. 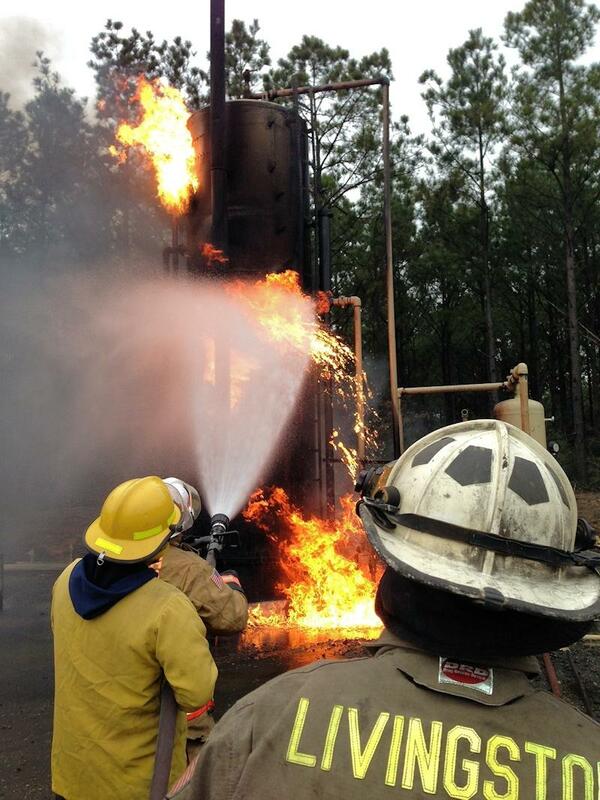 The BBX oil well fire reportedly occurred during maintenance of a compressor. The well began spewing and ignited. 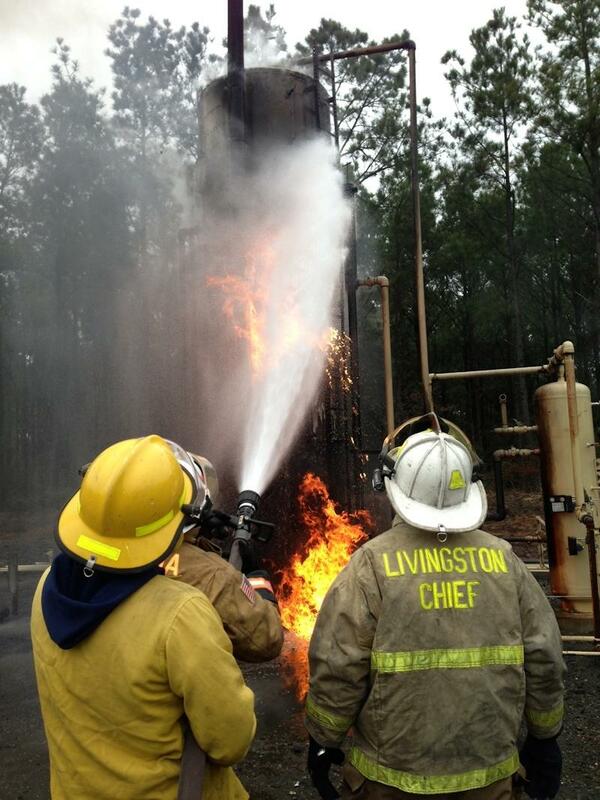 Volunteer fire departments from Livingston, Indian Springs, Indian Reservation and Woodville responded to the fire. Nobody was injured and the fire was extinguished.